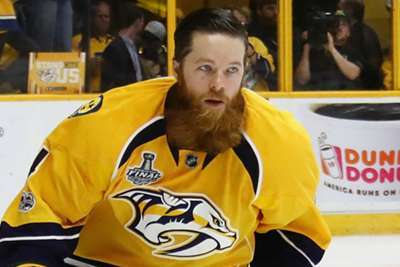 Ryan Ellis has signed an eight-year contract extension with the Nashville Predators worth $50 million, the team announced on Tuesday. The defenseman's new deal will take effect from the 2019-2020 season. 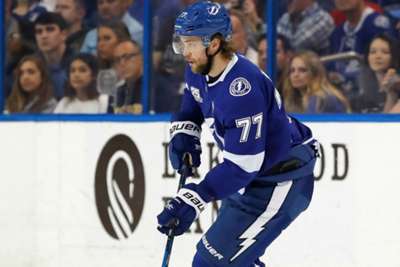 "Ryan is a huge part of our team on and off the ice and we are happy to have his leadership remain in our locker room for the foreseeable future," general manager David Poile said in a statement. "We have talked about wanting to keep the core of our team together, and this is another opportunity to help us do so while continuing to compete for a Stanley Cup. "Ryan is entering his prime and is one of the reasons why we feel this team has a chance to win every time we step on the ice." Hey Ryan Ellis. Lunch is on you.....for the next 8 years!! Ellis, 27, will finish out the last year of his current contract, which was signed in 2014 and worth $12.5 million in total. Last season, he recorded a career-high 23 assists and logged a total of 32 points for the Predators despite playing in only 44 games due to rehabbing his knee from surgery. During his eight-year career with the Predators, Ellis has scored 55 goals with 118 assists for 173 total points. That is the sixth-most by a defenseman in franchise history. Ellis was selected 11th overall by Nashville in the 2009 NHL Draft.